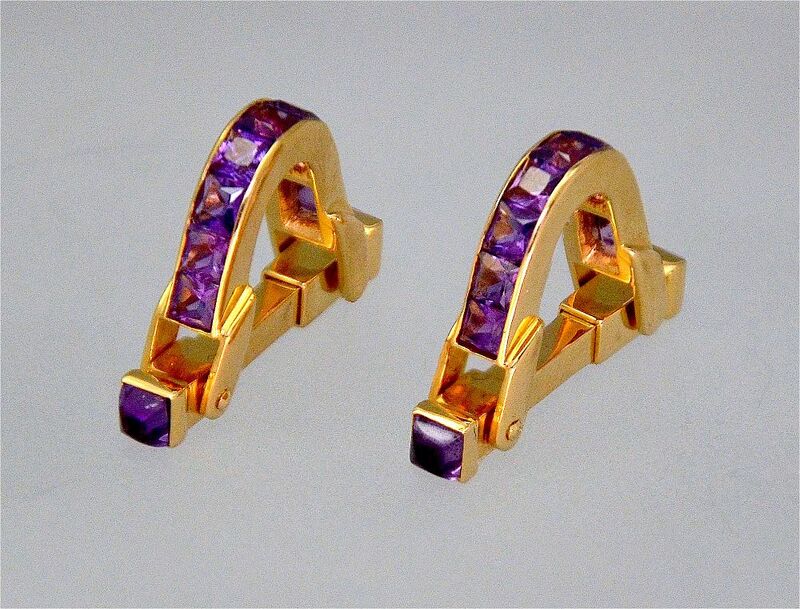 These extremely stylish cufflinks are made of yellow metal (tests as 18ct yellow gold) and are set with amethysts. Each cufflink is "D" shaped, the "D" being channel set with 9 square amethysts.The "D" joins onto a yellow metal back bar, rhe ends of which iare set with a sugar loaf cabochon cut amethyst. The hinged bar opens to fit through the button holes of each cuff so that the "D" curves round the edges of the cuff.